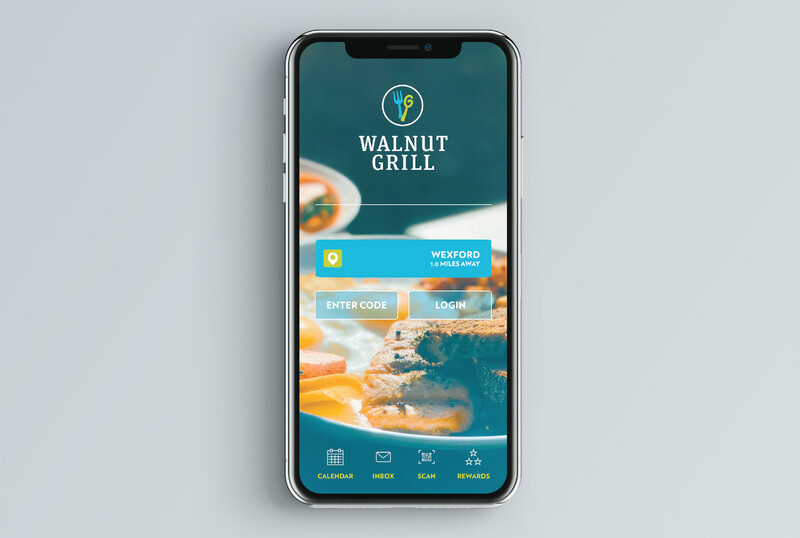 Walnut Grill, a restaurant chain with locations in Pittsburgh, PA and St. Louis, MO is known as a happy hour destination with good food and drinks. 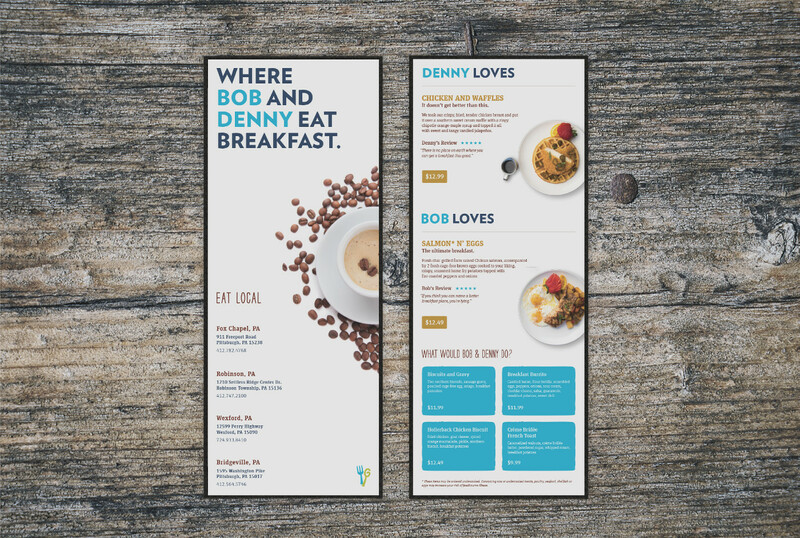 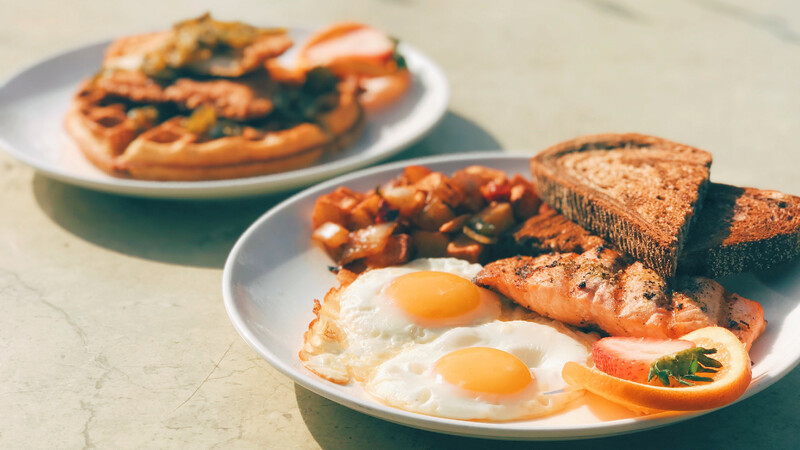 They wanted to expand their messaging and highlight their variety of breakfast options to their existing and potential markets. 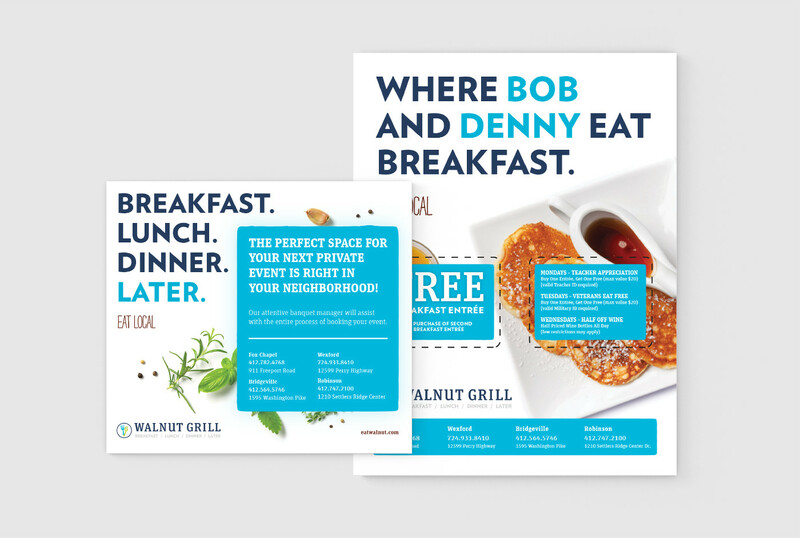 Sparq developed a campaign to emphasize their breakfast options within their home base. 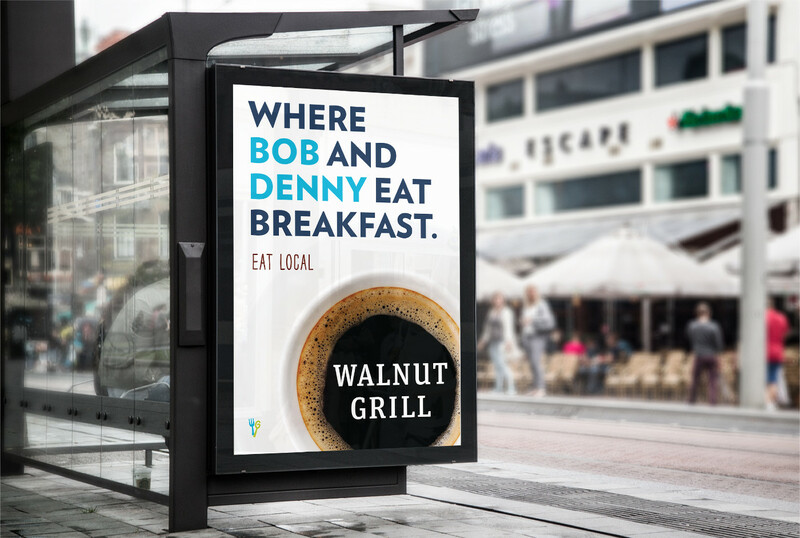 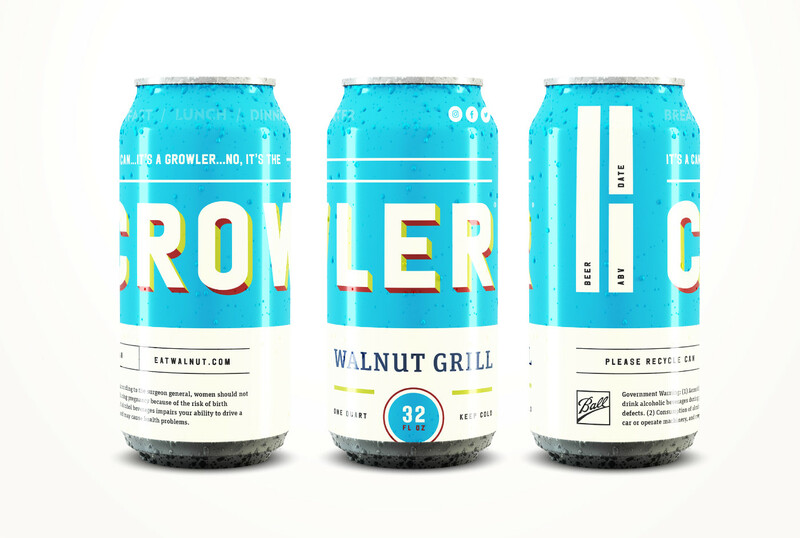 Sparq’s intention was to develop creative that would grab attention, highlight Walnut Grill’s local presence, and play off of the emotion of humor in all messaging to capture the attention of the viewer. 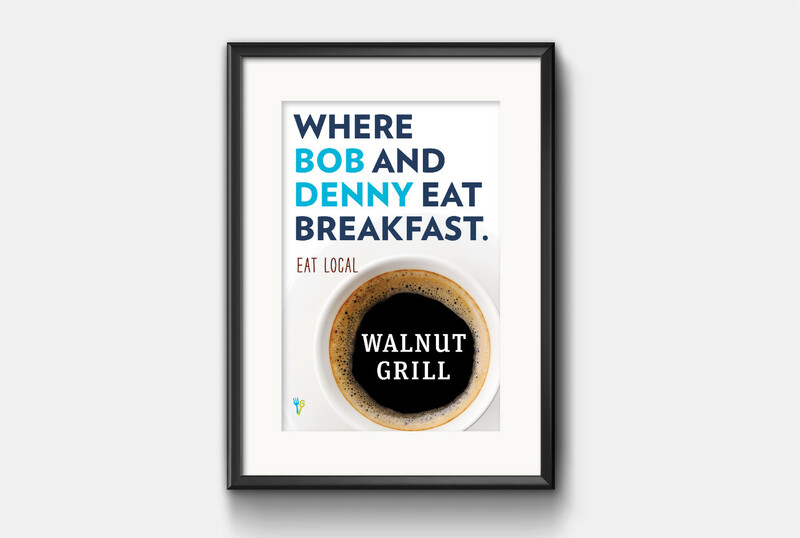 To enhance, the “stickiness” of the campaign we introduced a social media push that was backed by video. 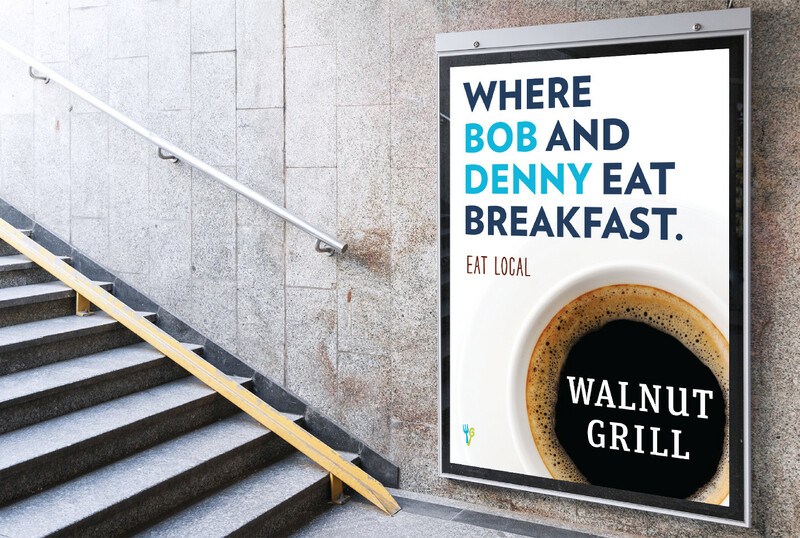 The video portrayed two characters (Bob & Denny) in a blacked out room disguising their identities all while oering their support of Walnut Grill and their breakfast options. 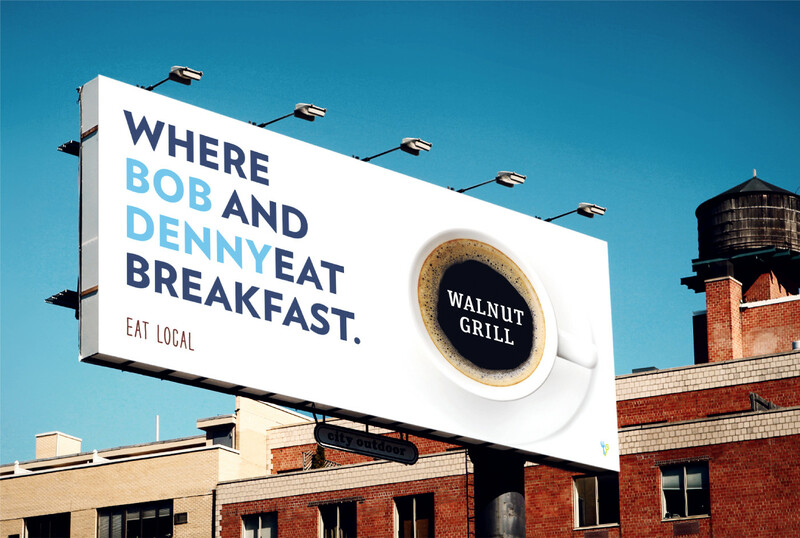 Bob and Denny’s identities are left unknown throughout the video and the viewer is left to figure it out for themselves. 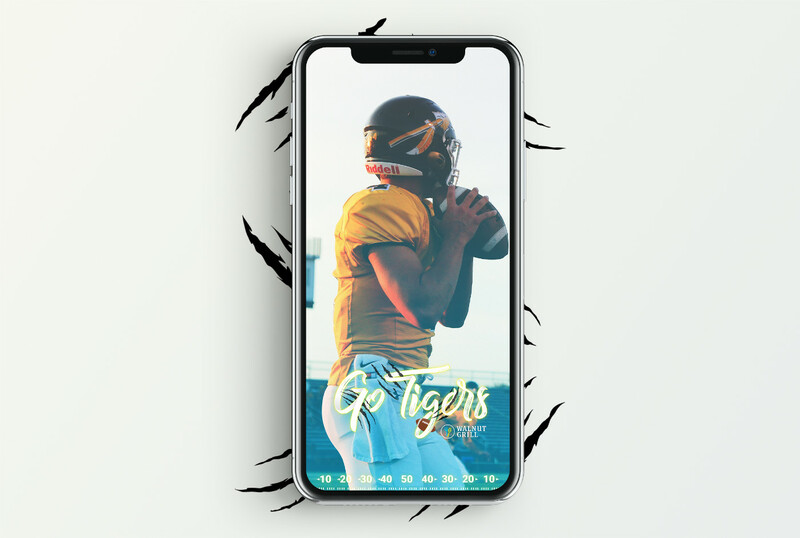 The “tease” throughout the campaign leaves people thinking and questioning the campaign which is the exact response we wanted to achieve.